Pick up in Reykjavík from hotel or guesthouse. Drive from Reykjavík to Rjúpnavellir, near the volcano Hekla. Hekla, is a stratovolcano in the South of Iceland with a height of 1.491 meters and is one of Iceland’s most active volcanoes; over 20 eruptions have occurred in and around the volcano since 874. Day 1, 8th August: Rjúpnavellir – Áfangagil. Walking distance = 17 km. 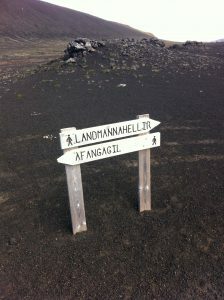 The hiking trail starts at the west side of the Ytri-Rangá and Hekla is on the right side. We hike to Fossabrekkur, the source of Rangá, where we can see the water coming through the lava path. 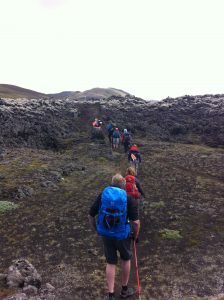 We then make our way along Sauðafellsalda and we walk to the Skjólkvíar-lava from 1970. Then, we head towards Áfangagil where we will stay the first night. Day 2, 9th August: Áfangagil – Landmannahellir. Walking distance = 22 km. This day is the longest one. It begins on a slope to Valafellsalda and then we continue down to the black sand between the two hills, Valafell and Valahnúkur. Then, we walk to Valagjá and Helliskvísl. This is the only river we will see on this day and it is the only chance we will have to re-fill water bottles! We then hike over to the Lambafitarhraun, a lava area. 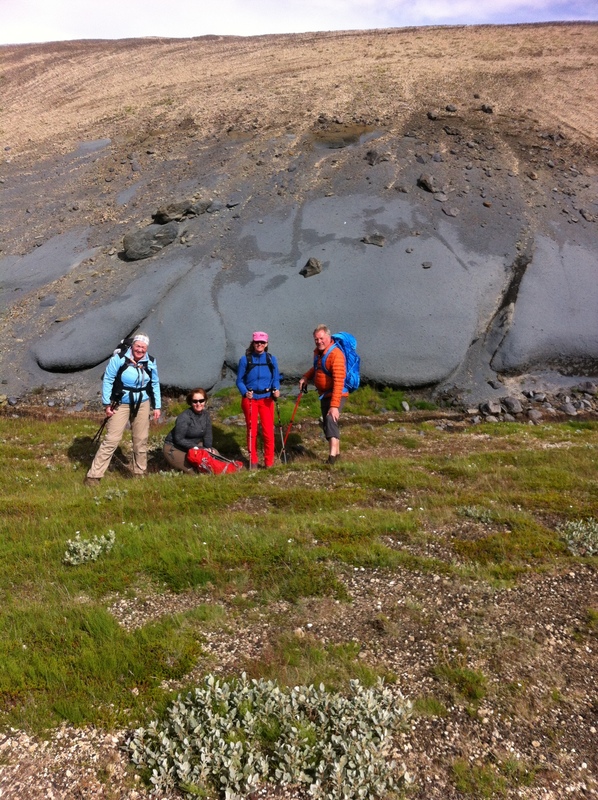 The lava that flowed here came from the 1913 Hekla eruption. The lava is generally difficult to cross, but Icelandic sheep have made a good path for us to follow. Then we walk towards the Sauðleysa and through Lambaskarð, a small canyon which lies between Sauðleysa and Hrafnabjargir. From here, it is only a short way to Landmannahellir, where we will spend the night. Day 3, 10th August: Landmannahellir – Landmannalaugar. Walking distance = 16.5 km. 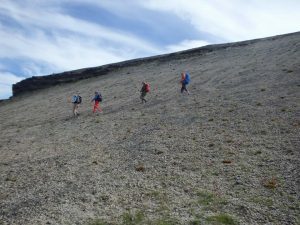 This day is the highest point of the route, at 823 meters. The route is quite different from the other two days. The path is almost completely overgrown, surrounded by mountains and lakes. The path takes us to the lake Löðmundarvatn and then to the Lifrafjöll mountains. We then head up to Dómadalsháls and walk on the Háölduhraun lava. When we reach the top, we can see over the geothermal valley of Landmannalaugar. 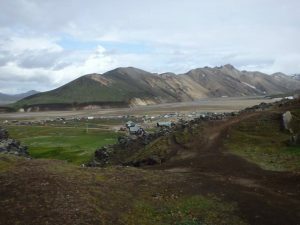 We will drive to the geothermal valley of Landmannalaugar and walk around the area. Then we drive back to Reykjavik in the afternoon. This tour is one of Guðjón’s favorite. 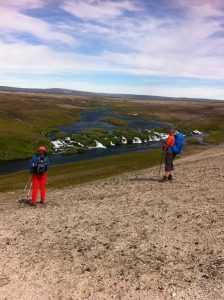 Unspoiled Icelandic nature and diverse landscape, an absolutely breathtaking hike !